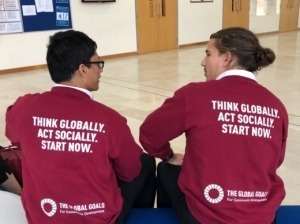 We are delighted to share a blog written by Areen Ashref Tawil project, student at British School Al Khubairat who are part of a team delivering a Global Goals project for the 2018-19 Global Goals Competition. 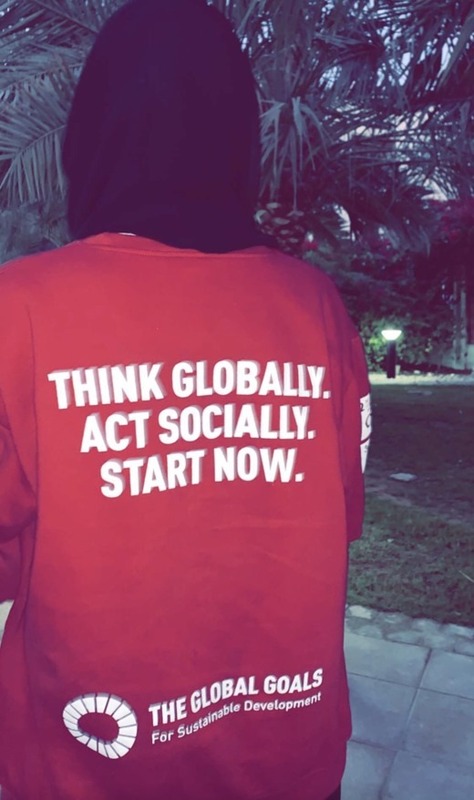 Their project BSAK Eco Innovators is among over 620 social action projects currently running as part of the GSL movement and we are excited to be supporting them to design and lead positive social change in their community. The earth needs you not, You need the earth . Let’s join hands and save our home the planet earth from heaps of rubbish. If we don’t cleanup our mess we will be replaced by mess. let us reduce, refuse, recycle and reuse and have sustainable consumption and production. Don’t be afraid to express all of your ideas, even if they seem unrealistic now, they will be achieved one day. 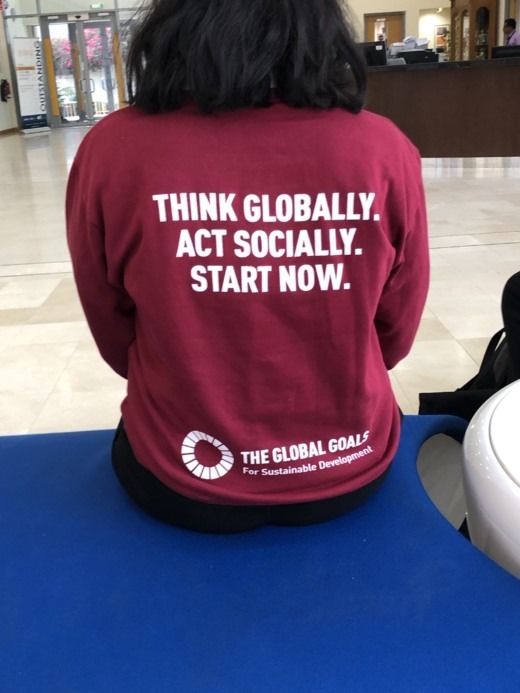 We acknowledged the main problems found within our community – mentioned in our previous blog – that contradict the UN’s seventeen global development goals. Since then, we have been continuously striving to influence the people around us. 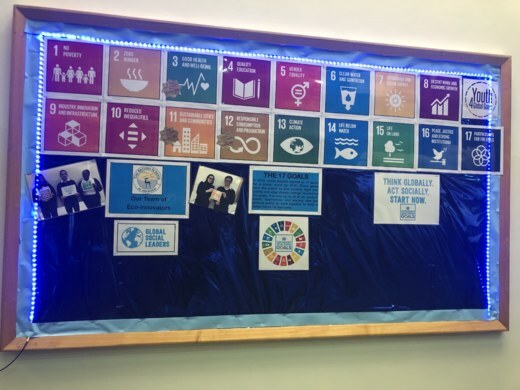 Our primary focus for the previous two months was designing a new and sustainable dining hall for years 1-6 that embodies messages promoting good health and well being. This had to be without compromising its main purpose of being a comfortable eating area for 150 students. Our biggest challenge when it came to achieving this was expressing realistic ideas that were within our school’s financial capabilities. Also, as seventeen year olds, we had to ensure that our suggestions were suitable for children over ten years younger than us, since we didn’t want any of our messages to be lost in definition. We planned a meeting with the architects working on the dining hall and spent our Christmas holidays preparing for this. BSAK’s school bursar sent the architects our suggestions before the meeting in order for them to prepare. As a group, we were all nervous that we would be ignored however it was the exact opposite. Throughout the conference, the architects were extremely responsive, and had either put our suggestions into place on their design plan already, or come up with an even better alternative with the assistance of their expertise and experience in designing. We are extremely fortunate to be able to work on this project and assist our school with its green journey. 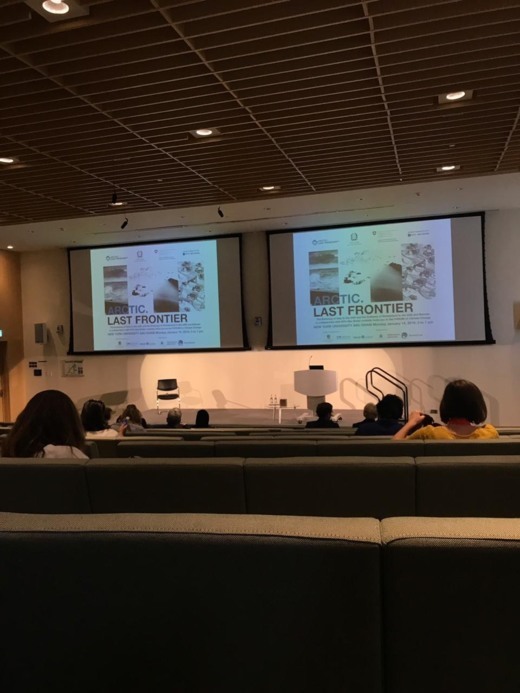 Additionally, a few members of BSAK’s Eco Innovators attended a conference at NYU Abu Dhabi named ‘ARCTIC. LAST FRONTIER™: Forum on Climate Change’. This gave us the opportunity to listen to inspirational people who have pivotal roles within the UAE’s sustainability system, including the Minister of Climate Change and Environment Dr.Thani Al Zeyoudi. We even got to listen to the former president of Iceland – H.E Olafur Ragnar Grimsson – which was incredible. 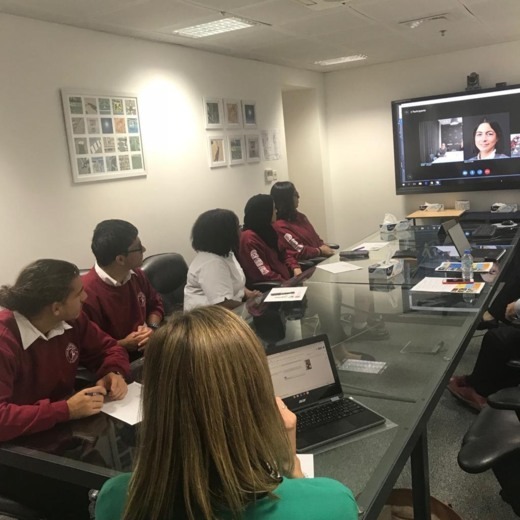 After speaking to the architects, our next step is to discuss with the managers of the school’s catering company ‘food nation’ ways in which they are able to consume responsibly. 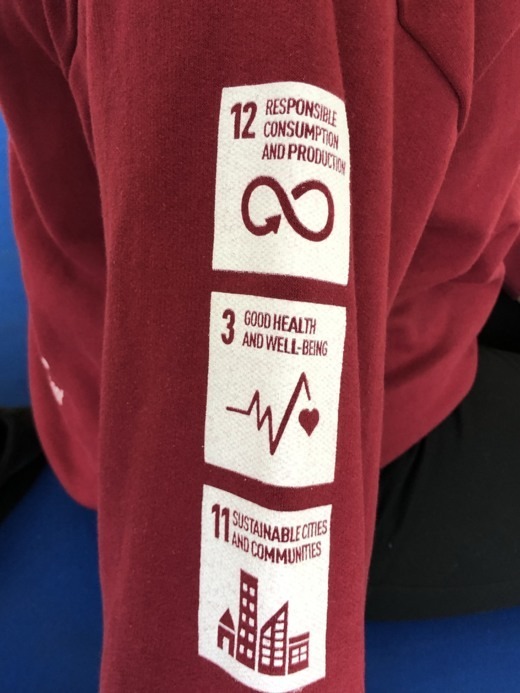 The main issues that we would like to tackle are: sustainable disposal of food waste, minimising this waste all together, supplying our fellow pupils with healthier meals as well as replacing plastics with biodegradable packaging made out of renewable materials. We have also been planning our stall for the school’s annual fete. This will commence on February 23rd and it is an extremely busy time of the year where parents from numerous different backgrounds gather on BSAK’s school grounds. This is going to be our main focus for the next few weeks. The money raised from our stall will go to planting trees in Abu Dhabi.